Time to find a window cleaner for your Apple Valley, MN home to shine up those windows so you can enjoy the view again? We are a Twin Cities based Window Cleaning company that services the SE Metro including Apple Valley, Minnesota. We will wash your windows the only way I believe you can get a good job, with a ladder and a squeegee. Some of our competition uses pole systems and I find it hard to believe you can do a good job 15’ away from a window, we are inches off your window so we can inspect when we do the job and ensure an excellent window clean when we are done. 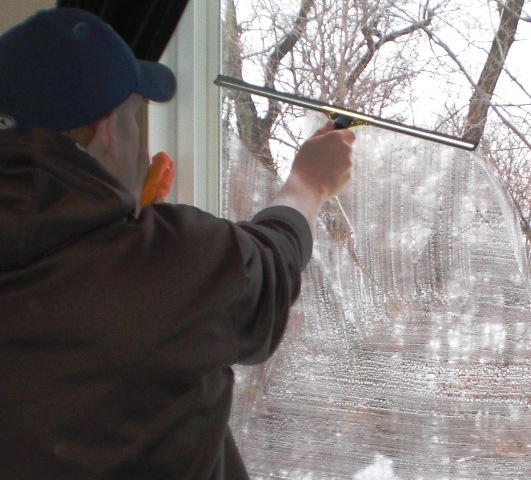 Window Cleaning – Maybe you just need a quick outside only window cleaning on your Eagan home? Or maybe you want us to do everything including screens and sills/tracks after cleaning the inside and outside of your windows. Gutter Cleaning – If we are already on site cleaning your windows just ask me to check your gutters, most homeowners wait until there is a problem to clean their gutter system. Pressure Washing – Our pressure washers can remove years of age from the exterior of your home. We pressure clean entire homes, decks, patios, screened porches, and driveways.